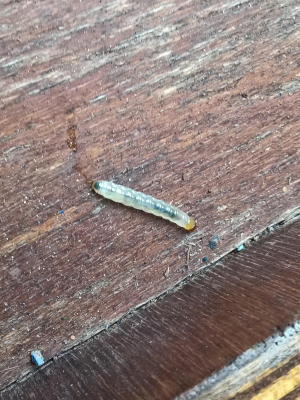 A single larva found on board a boat (though it may have arrived on shoes or clothing.) "Indoors" is the best description iSpot allows! Around 12mm long. I really don't know where to start in trying to get an ID for this: any help would be welcomed.